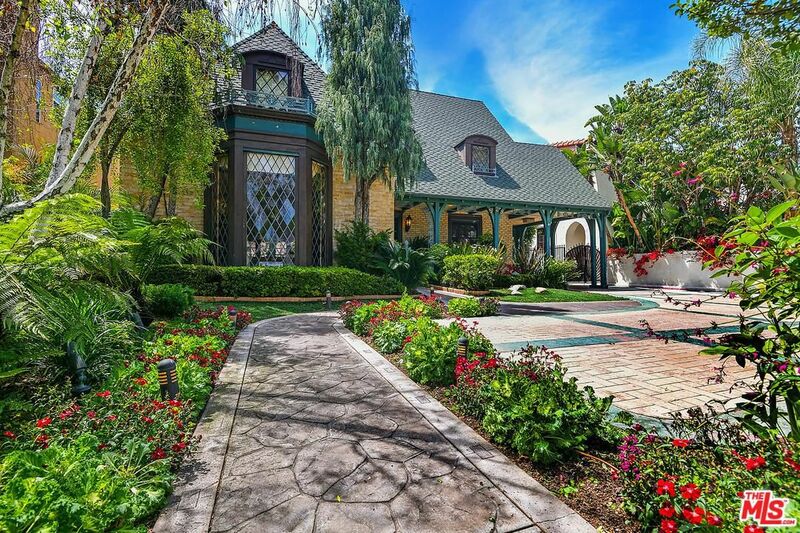 Right within the highly-coveted area of Hancock Park, The Bienstock Group presents this charming, one story Spanish-style listing (414 N Arden). This house not only obtains high-end features, but also offers an exquisite the day & nightlife. 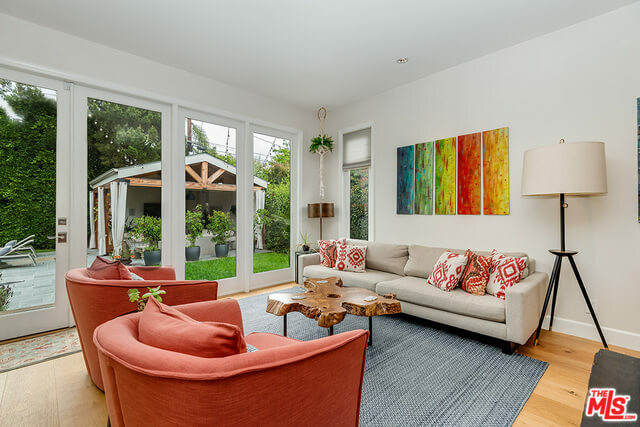 The house is located a few blocks away from Larchmont Village lined up with shops, restaurants, and weekly Farmer’s markets on Sundays, and is only a short drive to the trendy scenes of Melrose Ave. The property is 2,105 square foot and priced at $2,295,000. The listing combines modern finishes and Spanish charm to create a ritzy but chic atmosphere. 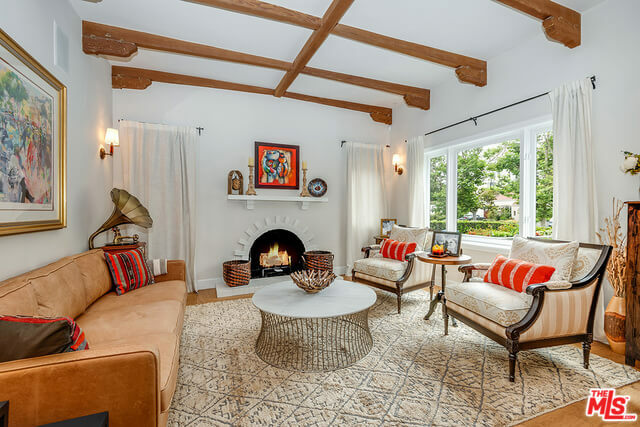 You first walk into the formal living room which exhibits a decorative fireplace and beamed ceilings, which adds further depth into the rustic room. The enormous window brings in a lot of natural light, establishing an airy and bright space juxtaposed to the textures of the wood. Right to the next room, the heart of the house is the kitchen that opens up to the dining area and den, which overlooks outside oasis (pictured above). The contemporary kitchen perfectly combines functionality and design, featuring stainless steel appliances and a giant peninsula. On the opposite wall, the house spotlights a magnificent floor-to-ceiling wine fridge— yes, please! All 3 bedrooms have en-suite bathrooms. While the spacious master bedroom opens up to the backyard, the room in the front of the house leads to a private front yard enclosed by ficus trees. The backyard also feels like an exclusive resort as lush greenery surrounds the whole area. Not only does the house feature a pool, it also highlights a spa, rain shower, fire pit, and heated outdoor living room/cabana so day or night…. Pool party! At The Bienstock Group we love what we do, which by matching our buyers with luxurious houses in Hancock Park. Call us to learn more (323) 332-1985!